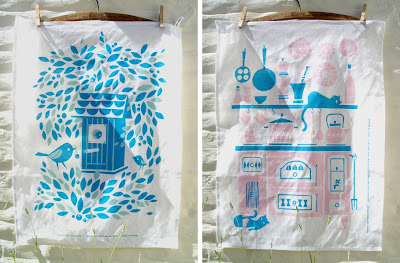 I hadn't heard of this Finnish design team until Deborah at Kickcan & Conkers hosted a great giveaway a while back, in which I won not one but two of their fantastic linen-cotton tea towels. Lintukoto (native bird) and Kissanpäivät (cat days) linen-cotton tea towels. 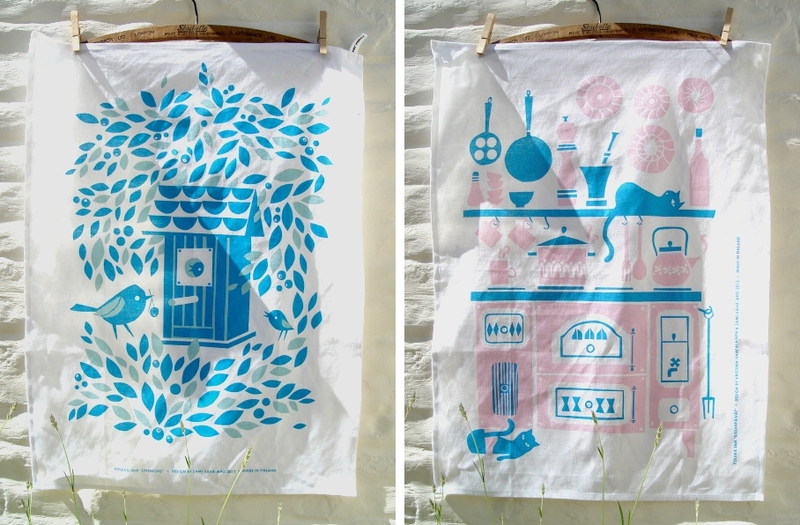 Kristiina Haapalaisen and Sami Vähä-Aho have a beautiful range of posters, postcards and home textiles which are produced as ecologically as possible and all in their home town of Turku. See more of their range here or read their design news on their blog. 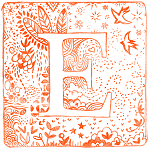 Deborah has a brilliant collection of modern and vintage books, toys and games in the Kickcan & Conkers shop and she writes daily about her life in France and hunt for vintage gems here!